For many Amazon or Ebay store owners the decision of whether to choose a corporation or LLC for their business is sometimes the furthest from their mind. However, the choice is an important one and can affect you in many ways. An LLC, or limited liability company, is an entity formed to protect your personal assets from lawsuits connected with your business. Setting one up will normally require that you submit an Articles of Organization explaining the purpose of your business and listing a representative, known as a registered agent, to receive official notices from the State. An annual fee can also be expected to maintain the entity’s status. As an Amazon or Ebay store owner, you may be aware of your sales tax requirement but what happens on your personal taxes when you form your LLC? LLCs are established on a state level. 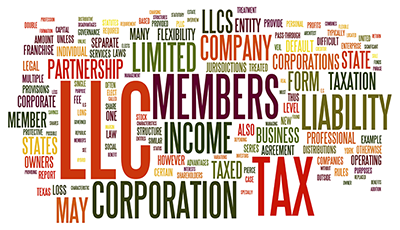 LLCs are disregarded on the federal level, meaning that the Internal Revenue Service does not recognize single-member LLCs as separate from its owner. Therefore, the net income from your business flows through to your personal tax return when your business is an LLC. Unlike a corporation, having a business set up as an LLC does not require that you hold annual meetings and keep minutes. This can be a real benefit to Amazon or Ebay owners who may not have the time for these administrative tasks. The timing or decision of when to set up your LLC may depend on several things. One such factor is the success of your business. Some Amazon and Ebay sellers set up their business as an LLC right away. This may not be the best idea if your enterprise is unproven or just getting started. In some instances it may be best to wait until your business picks up before spending money on costs associated with an LLC. How you structure your business is requires careful planning to help your business run efficiently. Do your homework and, as always, speak with your accountant or legal adviser to see what options are best for you.